Gardens Cottage is the largest house on the estate and is situated beside one of the beaches at Ellary. 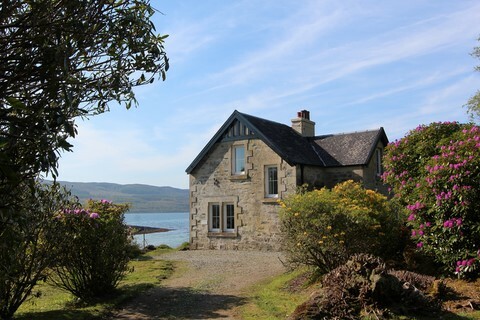 The cottage has a gate to the beach from the back garden, and has great views out to the loch from the conservatory. On the ground floor there is the sitting room with an open fire, a large dining room (also with open fire), a fourth bedroom (bunk beds), the kitchen (with washing machine and freezer) and a full bathroom with shower. The first floor has three bedrooms upstairs (one double and two twins). This is the closest cottage to the harbour, and is ideal for families with boats.